We want you to walk away happy every time you shop on our online store. Get familiar with our selling policies, feel safe when you buy products from Movement Medicine. Shop with Confidence Our shopping cart (MCSSL) is Verisign verified and uses Secure Sockets Layer (SSL) certificates so you can feel assured that your personal information is always secure and never shared. The Verisign seal is the industry safety standard in online commerce and guarantees that your credit card information will be protected through encryption so that it cannot be read while being sent over the internet. 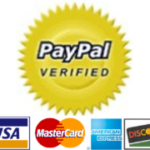 PayPal Verified You have the option of purchasing through your PayPal account – a very secure and quick option – or using your credit card. Either way, you know that both options are safe and your personal information will not be shared with anyone. As a verified seller we have provided additional evidence of our identity to PayPal by passing key security checks and completing the PayPal Verification process. Verification increases the overall security of the PayPal network and allows you to feel safe during the purchasing process. We accept payment through your PayPal account, with Visa, MasterCard, American Express, Discover, by check or over the phone through PayPal ExpressCheckout. 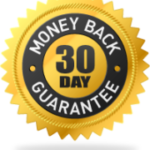 Product Guarantee We offer a 30-day money-back guarantee. Return package must be postmarked within 30 days of product arrival and you are responsible for all return shipping. Please email or call us first when wishing to place a return. We consistently check our swings and stands thoroughly before we send them out; sometimes a connector part will be missing or damaged. If so, let us know immediately – within the first 30 days – we will send a replacement out right away. We offer a 1-year part replacement guarantee due to normal wear and tear or from malfunctions on our end. Does not include parts damaged due to to abnormal or careless use such as that which is covered in our Instruction/Disclaimer manual.Please email or call us if wishing to exchange a product as every situation is different.